Get Ready To Shake The Sky With Lots Of Great Asian Themed Games! High 5 Games Asian Themed Games - The Sky Is The Limit! Imported games from Asia are one of a host of themes that are available to players when they look for new games to play online. The current development of this trend is not entirely co-incidental and just aimed at bringing the North American market more variety. 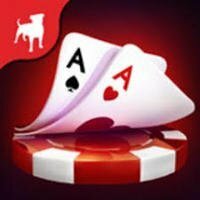 Any successful business within the online casino industry as with any business will wish to stand out from competitors in any way it can, especially considering the emergence of a hundred plus social casino operations springing up just in the last couple of years alone. The social casino boom has brought players from all corners of the globe together interacting whilst playing their favorite game. One only has to look at the popularity of Zenga Poker and how rapidly they developed. More recently, New York self-proclaimed leading content creators High 5 Games announced its second social casino launch named 'Shake The Sky'. Already providing slot titles for social and on land casinos, as well as major online casinos in the UK and Europe, Shake The Sky introduces over 30 region specific Asian themed games, targeted towards the growing enthusiasm within mobile and social Asian markets. High 5 games, founded in New York in the mid 90's now has a very extensive library of casino games. Their games already reach into 150 countries and as far as their Facebook audience is concerned they attract one and a half million active players a month. 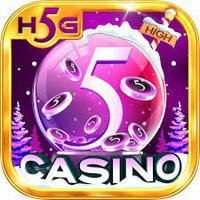 Their first social casino High 5 Casino, has half a million active players daily. These games are reminiscent of the Asian Beauty Slot , a games that offers real cash prizes. Similar growth, if not greater will no doubt be expected with Shake The Sky. This will include Asian themed games from their existing collection like Four Great Chinese Beauties, Golden Three Kingdom and West Journey Treasure Hunt along with other Asian Symbolism, Wuxia films and Asian soap operas. Can they keep all the people happy all the time? Time will tell.